Fr Paul Glynn and the Japanese Catholic community of Sydney organised a Mass and incense ceremony on Mar 27 for victims of the Japanese earthquake and tsunami. 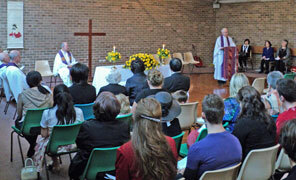 Marist Provincial, Fr Paul Cooney, presided at the concelebrated Mass. 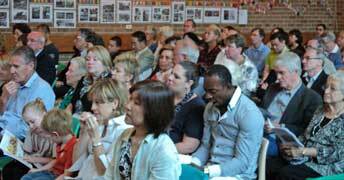 Hundreds attended at Villa Maria parish hall, Hunters Hill, NSW, and heard Fr Paul recall the reconciling links between Australia and Japan since World War II. 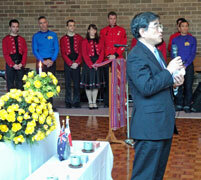 Japanese assistant vice-consul, Mr Kazutoshi Inadome, accepted a gift of $65,000 collected for the victims' appeal. After the Mass the Wiggles cast rendered in Japanese and English the song 'Haru Ga Kita' ('Spring has come') remembering the victims. 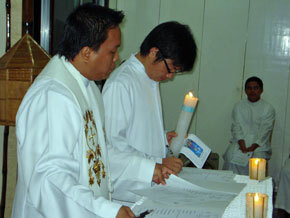 On the Feast of the Annunciation Brothers Nino Memorial, Roque Rebito and John Guo Wang renewed their vows at the chapel of St Peter Chanel formation community in Dumalag. Presiding over the ceremony was the District superior, Fr.Larry Sabud, assisted by Fr. Gavin Foster who was the homilist. Frs John Pereira and Pat Muckian stood as witnesses. 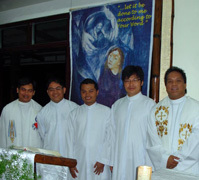 The three young men took their first vows as Marists a year ago at the conclusion of the international English-speaking novitiate, the first-ever held at Davao. 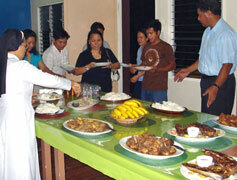 students with Fr Gil Casio (left) and Fr Chris Ganzon (right); Party time. The latest circular letter of Superior-General, Fr John Hannan, has arrived for distribution throughout Australia. The letter details decisions flowing from meetings of the General Administration team in Rome with Major Superiors from across the Marist world. Fr Hannan highlights the primacy of community life as a ministry of loving service to each other. He then speaks issues of renewal, recruitment, formation and reconstruction within the Society of Mary. The letter also touches on matters of ministry prioritisation, city-centre church ministry, finance and government. Particular mention is made of the Cause for Beatification of Marist Founder, Fr Jean-Claude Colin, as well as a year-long program of renewal for all Marists (Sep 2011-Sep 2012) based on the SM Constitutions. Irish-born Superior-General of the Society of Mary, Fr John Hannan, has begun a mammoth four-month visitation of the Marist province of Oceania. Arriving late on Mar 21 Fr John lost no time in commencing a round of interviews for Oceania Province members resident in or visiting Australia at the present time. Based for several days at 'Oceania House', Hunters Hill, NSW, Fr John will also have discussions with Australian Province personnel including Fr Michael Mullins who will again facilitate the annual meeting of the Marist Fathers' General Administration with Major Superiors. 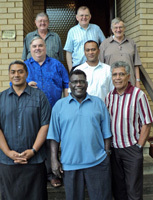 Pictured: Fr John Hannan (middle, back), then, clockwise, Archbishop Michel Calvet SM (Noumea), Fr Lote Raiwalui (assistant-general, Rome), Br Mika Cilicewa (Macksville NSW), Frs Justin Ratsi and Soane 'Ahohako (Marymount formation program), Fr Brian Wilson and Br Peter Somers (Oceania House). From left, Frs Paul Sullivan (Australian province), Lote Raiwalui (assistant-general, Rome) and Justin Ratsi (Oceania province). 'Spirituality and lifestyle' will be the major themes in a series of ongoing formation programs planned by Marists in Asia-Pacific for confreres ordained or professed for 8-12 years. For the first time program team members, Frs Paul Suliivan, Lote Raiwalui and Justin Ratsi, met on Mar 22 at Villa Maria, Hunters Hill, NSW, where the nine-week programs will be held. The team members inspected facilities at Villa Maria monastery and Chanel House residence guided by Fr Bob Barber and Br Charlie Randle. 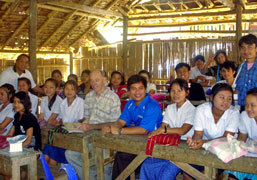 The first course will take place from Oct 09 to Dec 14, 2011, with similar programs in 2012, 2014 and 2015. Cultural perspectives will permeate all dimensions of the program. Aims will include affirming personal and Marist identity and strengthening a sense of mission and ministry in participants. 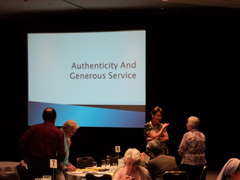 Program content will include spirituality, scripture, Marist studies, health and lifestyle issues with opportunities to connect throughout the course with local Marists. 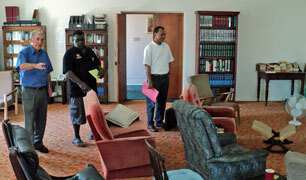 MAP program team members inspect Villa Maria's facilities with Br Charlie Randle. Web visitors will be aware of the campaign of prayer for the healing from terminal lung cancer of Fijian Marist, Br Mua Saurava SM, through the intercession of Marist Founder, Fr Jean-Claude Colin. 'This morning, the Feast of St Joseph, we had a simple Mass, at Mua's request, to celebrate his final profession. Fr Boniface, the novice master, was the main celebrant and received Mua's vows on behalf of the Provincial. Concelebrating with him were Fr Makario and myself from the Novitiate Community; Fr McVerry and Fr Donato Kivi from Marist Training Centre; and Fr Eneriko from Holy Cross Parish, Wairiki. 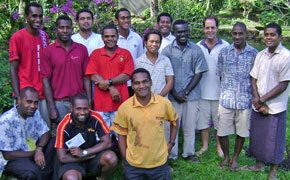 Br Mua was also supported by Br John Votaia, Br Iosefo Cakaunivalu, Br Sefo Vulaca, and Br Sairusi. Mua is also blessed at this time to have his sister, Maria, and her husband, Joachim, with our community here: they are fasting, praying, and caring for him as well as joining in our community life'. 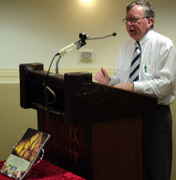 St Patrick's Day was chosen for a simple gathering of Marists in the crypt of St Patrick's city shrine, Church Hill, Sydney, to launch Fr Peter McMurrich's latest historical book. Entitled 'The Harmonising Influence of Religion -- St Patrick's, Church Hill, 1840 to the Present', the book was launched by former pastor of St Pat's, Fr Garry Reynolds. The book records the life of the popular downtown centre since its beginnings, its being handed to the Marists and in subsequent decades. It is available for purchase at St Pat's. It's modest price belying the excellent quality of production and images by Sydney's Catholic Communications Centre staff. Copies of the book are available at $20 through the parish office: office@stpatschurchhill.org. 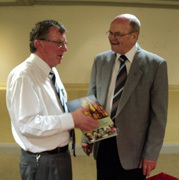 Fr Garry Reynolds officially launches the book. 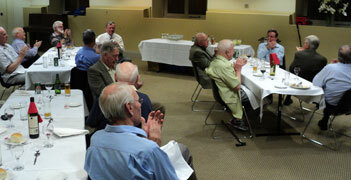 Thirty Marists join in the dinner celebration. Garry Reynolds, Tom Ryan, Neville Byrne and Ray Chapman. 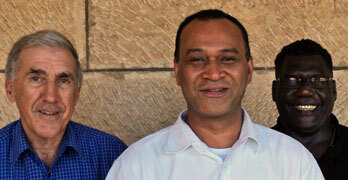 Bishop of Port Vila, Vanuatu, Most Rev John Bosco Baremes SM, has visited Sydney in recent days. Bishop Baremes hails from the Carterets Islands (Autonomous Region of Bougainville, PNG) and was ordained in February 2010 after being on the leadership team of the Oceania Marist Province for several years. 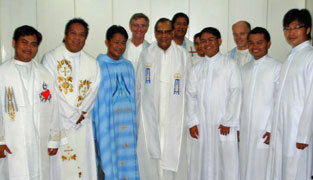 During the visit he has sought support for the many needs of his Pacific diocese. As of Jul 01, 2011 Fr Tony Corcoran SM will become the local superior of the general house of the Marist Fathers, Monteverde, Rome. Fr Tony will succeed New Zealander, Fr Kevin Mowbray, (Bursar General) who has been house superior since 2005. He continues his role as Secretary-General of the Society of Mary and Procurator to the Holy See. Tasmanian, Fr Ben McKenna SM, will lead the Marist Province of Oceania from the beginning of 2012. 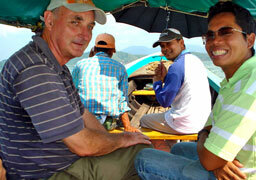 He will take the reins from current provincial, New Zealander, Fr Paul Donoghue SM. Fr Ben, 57, becomes the first Australian to hold this post in the far-flung region of the south-west Pacific since the province was established in 1898, growing to be the largest in the Marist world since the first missionaries arrived in 1837. Ordained in 1978, Fr Ben has spent most of his priestly life as a missionary in the Pacific in the Solomon Islands and in recent years as novice master at Tutu on the island of Taveun, Fiji. He worked on loan to the Australian province formation team for some years. Congratulations, Fr Ben. 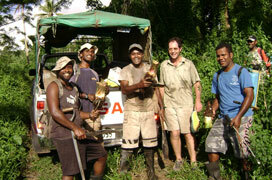 Fr Ben at work, prayer and teaching with Tutu novices, Fiji, during 2010. The Australian Province of the Marist Fathers has lost a much-loved and distinguished confrere in the person of Fr Francis Lopez SM. Fr Frank died peacefully at Royal North Shore Hospital, Sydney, on Mar 06, aged eighty-four. He had been a resident of St Anne's Nursing Home, Hunters Hill, NSW. The Marist Fathers' 'Pen Portraits' recalls his life: Frank Lopez was born in northern Malaya (presently Malaysia) on 29th January, 1927. His parents, George and Amelia, had nine children, two of whom died in infancy. Frank was their second child, the eldest son of five boys and two girls. In Malaya, Frank’s entire schooling was done at De La Salle schools, starting in Kuala Lumpur in 1932 and finishing in 1941 in Malacca. During the Japanese invasion of Malaya which commenced in December 1941, both his parents disappeared. His two sisters were resident at the local convent. Frank was responsible for the boys in the family – an unfamiliar task for a fourteen-year old, who had also to find a source of income big enough to feed them and maintain the house in which they lived. When the war ended four years later, his father emerged from Changi prisoner-of-war camp, his mother from Sime Road internment camp for civilians. But both were immediately sent to India for several months to recuperate from their ordeal. On their return, Frank came to Australia to commence preparatory studies for the priesthood, before proceeding to Toongabbie and to Armidale for novitiate and seminary studies. He was ordained at St Patrick’s, Church Hill, Sydney on December 17th, 1955. Frank’s first appointment was to Woodlawn, where he taught for the next ten years. This was followed by three years as School Principal at Bellambi. A change in ministry to St Patrick’s, Church Hill, Sydney, and including the Marist Chapel at Circular Quay, lasted ten years. This was followed by his joining the lecturing staff at Catholic Theological Union, Hunters Hill. Upon completion of his Ph.D. at Sydney University, he joined the Pastoral Care Department, Prince of Wales Hospital, Randwick. The scope of his work there necessitated wider university studies as well as practical pastoral and counseling experience in the United Kingdom, Europe, the United States as well as Australia. 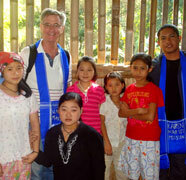 Fr Frank was the first Asian Marist of the Australian Province if not of the whole of the Society of Mary. May he rest in peace. 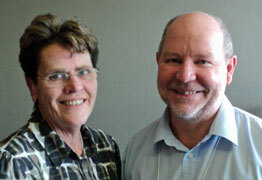 Outgoing president, Sr Marie Duffy RSM, with new CLRI (NSW) president, Fr Paul Cooney SM. Provincial of the Marist Fathers' Australian Province, Fr Paul Cooney, has been elected president for 2010-11 of the Conference of Leaders of Religious Institutes in New South Wales. 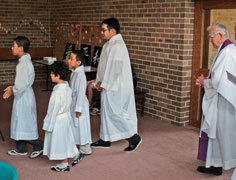 CLRI (NSW) represents ninety-four religious congregations with a constituency of over three thousand members. On the other side of the Tasman NZ provincial, Fr Brian Cummings, was re-elected for a second term as president of the Congregational Leaders of Aotearoa New Zealand. sexuality, authority and intimacy in religious life'. The Australian Marist province's commitment to a range of social issues is reviewed regularly by its Social Justice group. 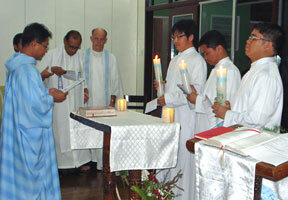 A General Chapter decision in 2009 mandated Marists to set up such groups worldwide. 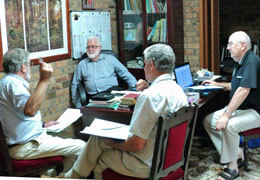 Meeting on Mar 01 the Australian SJ group reviewed its web site pages (see navigation. bar above), considered items for the forthcoming provincial assembly and planned strategies for ongoing communication and consultation. 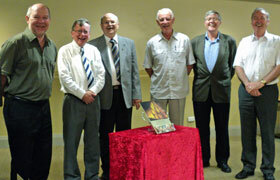 Pictured from left: Frs Jim Carty (facilitator), Kevin Bates, Kevin Stewart and Ron Nissen. 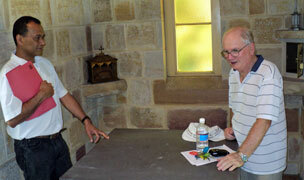 Fr Paul Mahony (Gladstone, Qld) was also present through the 'Skype' conversation facility. 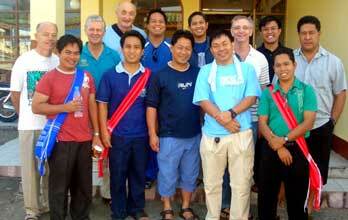 The entire team of priests of the Philippines Marist Mission District recently undertook an unique pilgrimage of discernment. 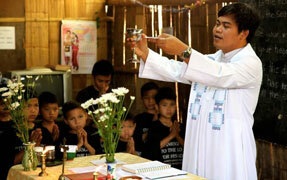 The Davao-based group (Mindanao, Philippines) spent two weeks traveling to refugee camps on the Thai-Burma border before discernment sessions at the Marist Mission at Ranong in southern Thailand. Pictured left, back row: Frs Pat Muckian, Kevin Stewart (director, Marist Mission Centre), John Larsen (director, Marist Missiion Ranong), Chris Ganzon, Lionel Mechavez, Gavin Foster, Lauro Arcede and Aliki Langi; front: Frs Gil Casio, Kevin Medilo and Larry Sabud (district superior), William Aung Win Shwe (MMC representative) and seminarian Dindo Calvo. Below left: 'Rays of hope for mainland Asia' as discerning guests consider the future of 'SM Asia' in one of the several Marist-supported Karen refugee youth projects. Below: Images of the Marist pilgrims engaging with Karen refugees and Burmese migrant worker families during the discernment pilgrimage. 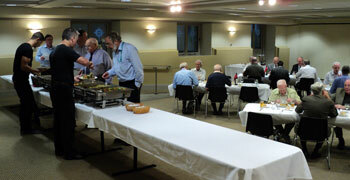 Br Terry Garrett SM has left for England's national Marian shrine of Walsingham, north Norfolk. Leaving the 'Montbel' community of Hunters Hill, NSW, Br Terry will be involved in welcoming the thousands of pilgrims visiting the shrine each year. 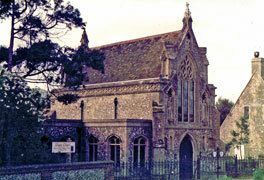 The original shrine founded in 1061 was destroyed during the Reformation but in 1934 the 'Slipper Chapel' was named by England's bishops as the Roman Catholic National Shrine to Our Lady. 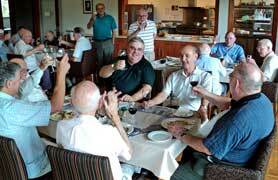 Fr Terry being farewelled by confreres of the 'Montbel' community. 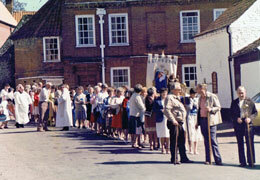 Views of the 'Slipper Chapel' at Walsingham, Norfolk, UK, and processions from the village to the Catholic pilgrim centre.